A twinning program is a short term exchange program between two partner institutions for mutual benefit by collaboration to facilitate and enhance the creative design experience and provide global exposure to students and teachers. The iSTUDiO twinning program is a unique and innovative effort to combine real time creative skills in the design studio with hands-on workshop exercises. 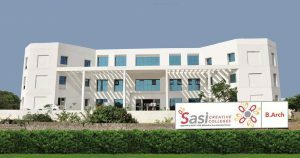 The iSTUDiO comprises design teams in mixed groups of four students from both the partner institutions working to prepare a holistic design scheme within a predetermined time frame. The iSTUDiO also facilitates on-site learning by visits to architectural projects of international repute and local heritage in order to draw inspiration and facilitate learning of design approach and style, materials and construction technologies, and state of the art building systems. For over 5 decades, the Birla Institute of Technology (Ras Al Khaimah) has been engaged in nurturing minds through a rich heritage of academic excellence. Essentially a hub of student activities, BIT has been a second home to thousands of students in their journey to challenge the times. Established in 1955 by the visionary industrialist Mr.B.M.Birla, it is one of the premier institutions for technical education. 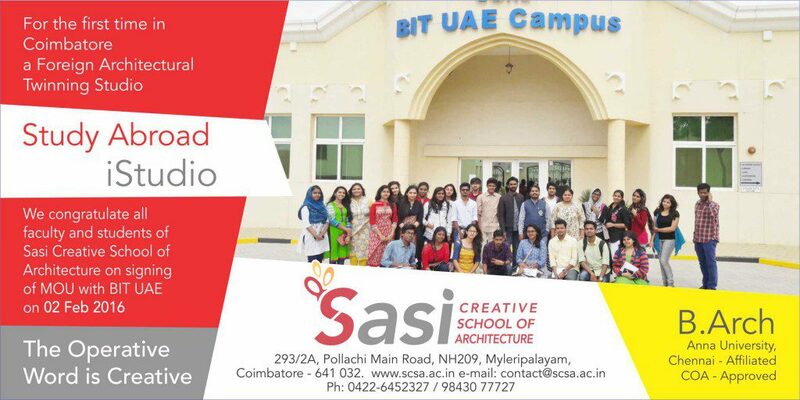 To enable a global presence, the offshore campus of BIT was established at Ras Al Khaimah, UAE facilitated by CORE International Institute of Higher Education FZE.